Al-Ayoun, October 20, 2018 (SPS) - President of the Republic, Secretary-General of the POLISARIO Front, Brahim Ghali, has restated that any negotiations with the Polisario Front will be on how to enable the Sahrawi people to exercise their right to self-determination and independence, in speech in the wilaya of Al-Ayoun, Sahrawi refugee camps, on the occasion of the 17th Conference of the Northern Sahrawi Community. The President of the Republic reiterated that the talks between the two parties to the conflict, the POLISARIO Front and the Kingdom of Morocco, would be about how to enable the Saharawi people to exercise their right to self-determination and independence. 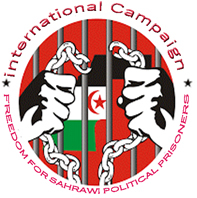 "Any negotiations with the Polisario Front will be about self-determination of the Saharawi people," he said.